“I don’t know how many years I have left, but I will admit I’ve been pretty lucky,” says Anchorage’s Wayne Todd. Ask around the Alaska mountaineering community, and many will say that luck has little to do with his accomplishments. 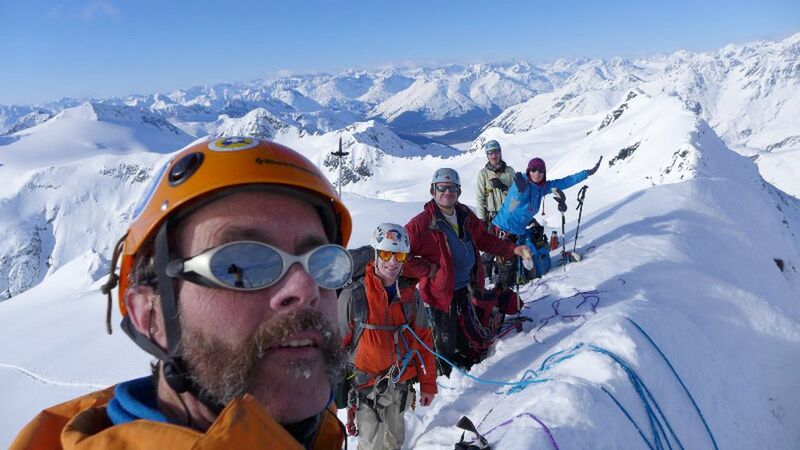 Todd, 55, has completed his list of 175 “true” peaks in the outer Western Chugach Mountains, the latest achievement in a remarkable climbing career. It’s a feat that solidifies his place in the top tier of local mountaineers who’ve found inspiration in the Chugach. For him, it’s not about checking off peaks on a list, then bam, on to the next one. A list is just a list. The experience of being in the mountains, of appreciating this place, the thrill and challenge of rambling across terrain he hasn’t seen before — that’s what drives him. The 175 peaks Todd has climbed lie in the outer Western Chugach, bounded by the braided Knik River on the north and Lake George and Lake George Glacier on the east, stretching down to the Twentymile River drainage where it terminates along Turnagain Arm. This sprawling area includes all of 495,000-acre Chugach State Park. Those on Todd’s list are true peaks, with a prominence of at least 500 feet, or are close enough in prominence to merit inclusion on the list — just to be safe. Different versions of this list of Western Chugach peaks exist, and they vary depending on where you set the boundaries. 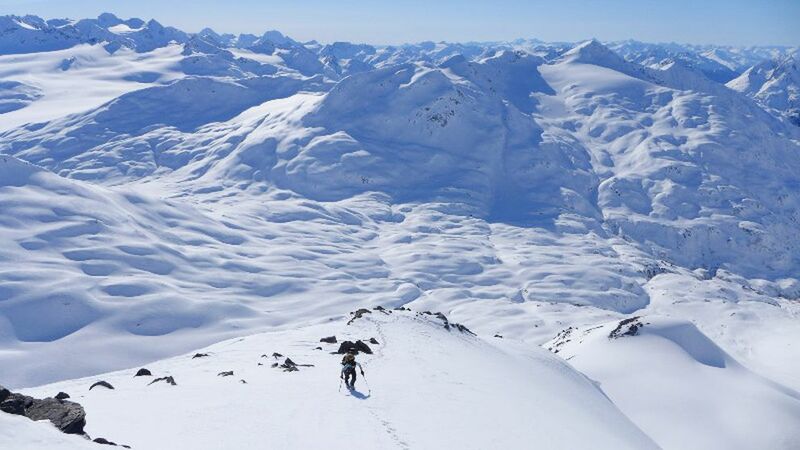 For example, Richard Baranow of Eagle River — drawing a different line on the eastern side of the map — wrapped up his own list of 174 peaks in the outer Western Chugach in October 2018, a couple months after Todd completed his. Others may still aspire to complete a historical list of 166 peaks within narrower bounds. "It means a different thing to different people to have completed ‘the list,’” said Steve Gruhn, acting editor of the Mountaineering Club of Alaska’s monthly Scree publication and unofficial Alaska mountaineering historian. Gruhn says the number of true peaks in the outer Western Chugach is subject to change with time based on “new understanding of the terrain," thanks to new mapping surveys. Disputes over the technicalities can lead to heated debate among climbers chasing summits in remote areas where data is outdated, inaccurate or difficult to verify. “As this all involves maps and not climbers that are surveyors, there have been disagreements as to which ones are true, which points are higher, and likely will be slowly changing over time,” Todd said. For Baranow, that means he strives to hit each possible summit on a peak to remove any doubt. A changing climate also plays a role in determining which peaks make the cut, making the completion of any list a moving target. “Since (the mid-1950s), with global warming, the glaciers have receded a lot, and as they recede, they’re revealing new peaks that have not yet been climbed," Gruhn said. That’s to say, as a glacier recedes from a mountain, more of that mountain is exposed — and so, a peak that didn’t have 500 feet of prominence before might now have that prominence, and could then be considered a true peak. Few have come close to what Todd and Baranow have accomplished in the Chugach. “What they’ve done is pretty groundbreaking,” said Dave Hart, who has climbed all 120 peaks in Chugach State Park and over 150 on the Western Chugach list. Gruhn started working on his Western Chugach list about 30 years ago and says he still has a long way to go. Many in Anchorage consider ourselves lucky to have the Chugach in our backyard. But don’t let the proximity to Alaska’s largest city fool you; these mountains can be unforgiving. Gruhn rattled off some of the major hazards of climbing in the Chugach: Falling off a mountain. Rockfall. Avalanches. Crevasse falls on glaciers. Wildlife confrontations. River crossings. On top of that, the rock here — aptly described as “Chugach crud” — doesn’t make things easier. Todd says his climbs within Chugach State Park were human-powered — without the aid of motorized travel on the approach to the peaks — save for a snowmachine ride across Eklutna Lake on a trip in 2012. Climbs of more remote peaks outside the park boundaries mostly involved flights into the area, then human-powered travel out. The nature of these climbs, Todd admits, doesn’t appeal to everyone. Count him among the others. By Gruhn’s count, Todd has made 70 first recorded ascents in Alaska, spanning from the Aleutian Range to the St. Elias Mountains to the Brooks Range up north. He has also climbed to the highest point of all 50 states. Internationally, Todd has reached the top of three of the Seven Summits — Aconcagua and Kilimanjaro, as well as Denali — and Ecuador’s Chimborazo, among others. 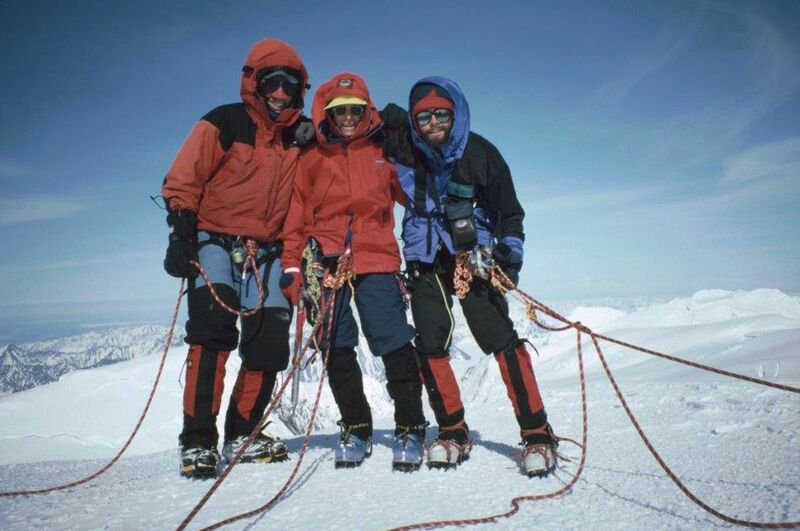 Tom Choate, who climbed Denali five times over five decades and was part of the group on Aconcagua with Todd, remembers what he was like back in the 1990s. “He was faster than me even then,” Choate said. For all Todd’s experience in distant mountains, some of the spots that stick out in his mind as particularly beautiful lie closer to home — for example, the headwaters of Peters Creek (below Peters Peak and behind Mount Rumble) and Carmen Lake, near Twentymile Glacier. Todd comes from a military family and arrived in Alaska as a young child. He grew up here, and in his early 20s he started heading into the Chugach in earnest. He discovered the Alaska Wilderness Studies program at UAA in the late 1980s and found a cohort of likeminded souls with a similar appreciation for roaming the mountains. 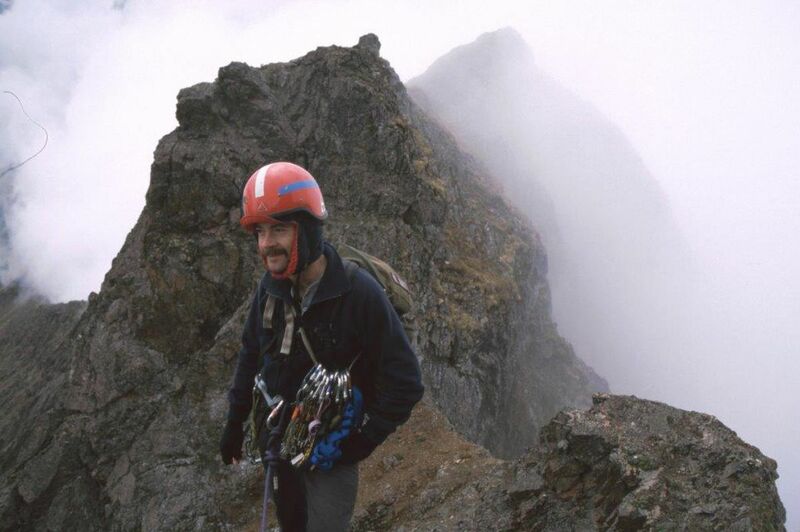 In 2012, Todd became the fourth of six people known to have climbed all 120 peaks in Chugach State Park. He now owns and manages rental properties around Anchorage, which gives him a flexible schedule for climbing and other pursuits that allow him to give back to the mountain community. 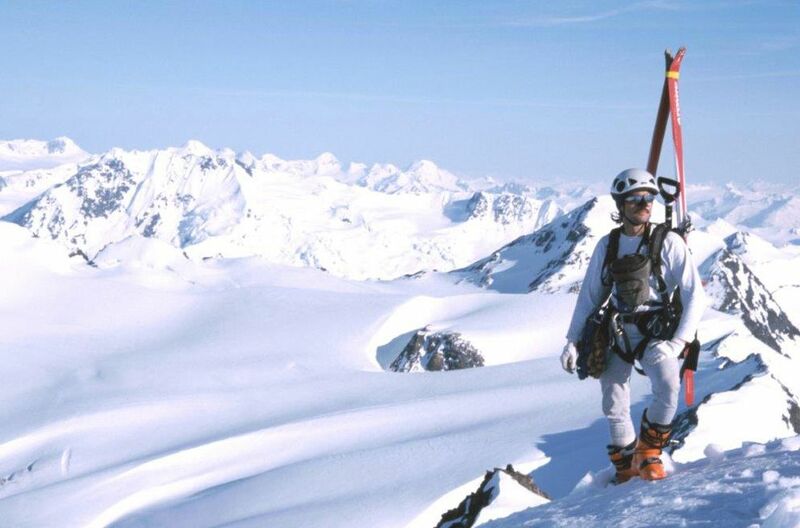 Todd has volunteered with the Alaska Mountain Rescue Group for more than two decades, contributing technical, search and avalanche expertise on numerous rescues. He’s previously served as president of the Mountaineering Club of Alaska and been a volunteer instructor with the club, of which he’s been a member for over 25 years. And he’s passionate about being a good steward of the mountains that have been such a major part of his life. As a result of his volunteer rescue work, “he’s pretty safety-conscious, as far as risks out there. And he doesn’t really hang things out on the edge,” Gruhn said. “He’s had to pull dead bodies out of crevasses. ... That’s a pretty somber occasion, I think, for anybody." Todd says his most serious mountaineering accident occurred in 1995, on an iconic mountain that looms over Palmer. 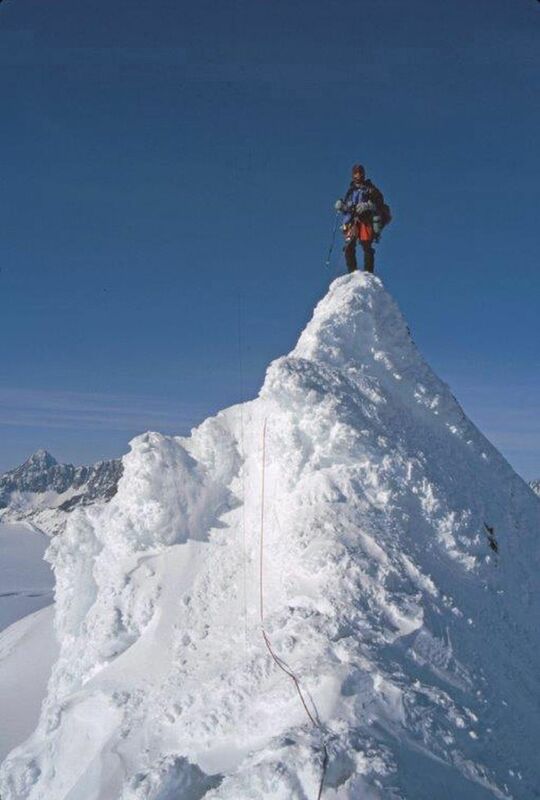 “The one peak that was definitely my nemesis was Pioneer Peak," Todd said. He was with two others, Kathy Still and Az Sellers, approaching the north summit from the peak’s southwest face. Todd was walking out a ridge from a scree gully on the back side of the peak. He said he felt as comfortable as if he were walking on a sidewalk — and the next thing he knew, he was tumbling down the slope, accelerating and trying to dig into the loose rock around him. When he finally stopped falling, there were cuts all over him, and a deep laceration exposed the bone and tendons just below his left knee. Blood poured from his leg. He managed to keep it together mentally until a softball-sized rock hurtled down the gully and smashed one of his fingers so hard that blood splattered through his glove. “I lost it. I just started cussing,” Todd said. He and his companions slowly hiked back to the trailhead without further incident. He’s now climbed three established routes on Pioneer, but none of the other climbs proved as harrowing as his 1996 adventure. “And even, you know, that day I still look back and think, ‘Oh, that was a good trip.’"
Part of Todd’s endeavors are a race against time. Age, of course, is a factor. He doesn’t move as quickly as he did in his 20s, and lingering injuries have forced him to take it relatively easy. 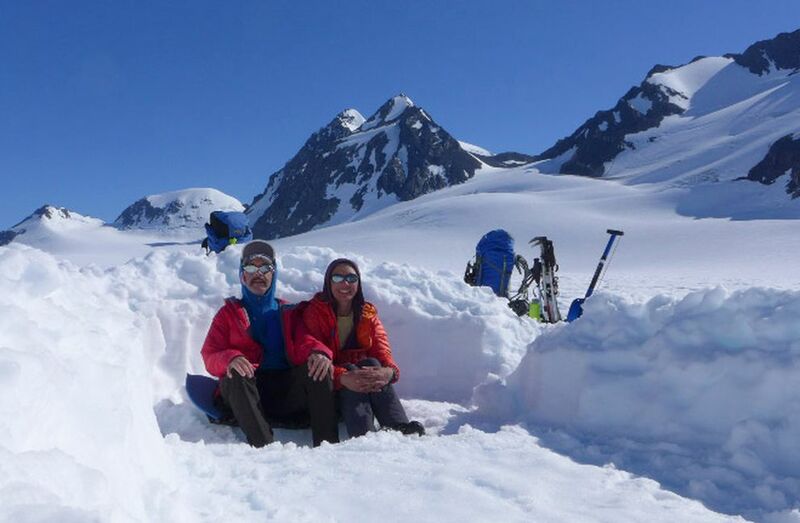 Accompanied by partner Carrie Wang on July 3, 2018, Todd summited Peak 6010, the last Western Chugach peak he had left to climb. It was a quiet moment of accomplishment, marked without fanfare. Was he excited? Sure. Vicky Ho is the ADN's deputy editor/online. An avid hiker and skier, she also writes Cautionary Tales, a column about lessons learned the hard way in the Alaska outdoors. Contact her at vho@adn.com.